Kristine Reese* (Emily) is best known for playing over 1,000 performances as Nessarose in the First and Second National Tours of the hit musical, Wicked. She made her Broadway debut in the 2007 revival of Les Miserables and also appeared in the National Tour of Mamma Mia!, understudying the role of Sophie Sheridan. Other notable credits include Grease (Frenchy; St. Louis MUNY), Annie (Star-to-be; Atlanta's TOTS), The Mystery of Edwin Drood (Rosa Bud), Brigadoon (Fiona), Footloose (Ariel) and the tour of Hello, Dolly! starring Michele Lee. Kristine has appeared as a concert soloist with over a dozen symphonic and pop orchestras internationally, including the Cincinnati Pops, the Indianapolis Symphony, the Cleveland Symphony and the National Symphony Orchestra in Ottawa, Ontario. She is a graduate of the University of Cincinnati, College Conservatory of Music (CCM) and a proud member of Actors Equity. For more information visit www.kristinereese.com or follow on Twitter, @KristineReese. 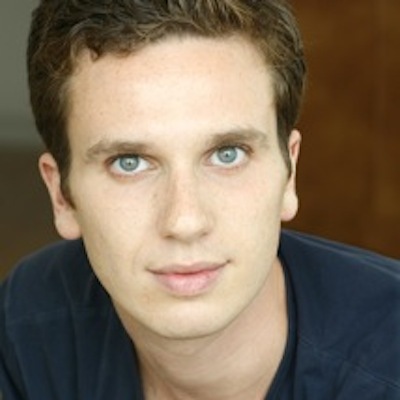 Noah Zachary* (Alex) Off-Broadway: Dear Edwina (D.R.2. ), Clown Bar (Pipeline Theater) Once Upon a Time in New Jersey (Prospect Theater). Regional: Avenue Q, Next To Normal ( Adirondack Theater Festival), Spring Awakening (Revision Theater), Amazing Grace (Goodspeed Opera House), Hair, Tommy, Rent, Seussical (Connecticut Repertory Theatre). Special thanks to Michael Cassara, DBA, and all of the Emily's in my life, you know who you are. 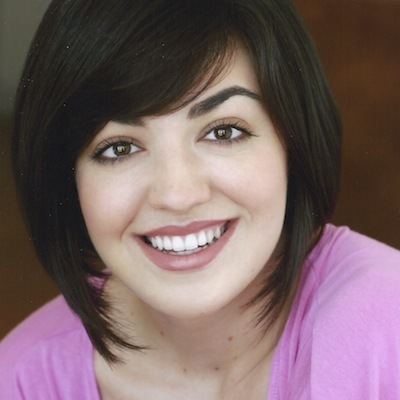 Barrett Wilbert Weed* (Jane) Broadway: Lysistrata Jones, Off-Bway: Bare (Nadia), NY: A Lasting Impression, F**king Hipsters. Graduate of The Walnut Hill School. B.F.A in Music Theatre from Elon University. Native of Cambridge, Ma. Thanks to C.E.S.D., Mel & Laura and all my national treasures, champions, and winners. NOS ES IN LUNA! Victoria Britt* (Tina) is thrilled to be part of her first show with Fringe! Past shows include Amazing Grace (Goodspeed), Carnival (Gloucester Stage), Company (Playhouse on Park), The Fantasticks (Company Theatre), Sweeney Todd (Metro Stage). Victoria has also been in 8 musicals with Disney Cruise Lines. Love and thanks to Katie and Victoria at DBA and of course her hubby, Colin. James Penca* (Michael) is excited to be making his NYC debut with this awesome cast of Date Savers. A very recent graduate of the Baldwin Wallace Conservatory - Music Theatre Department, James has spent the last few years performing all over the country. From San Francisco to Southern Florida, to his hometown of Cleveland, OH to the hills of Vermont, James has performed with the likes of composers Adam Guettel and Joe Iconis, with renown actress Pam Myers in the regional premiere of Sondheim on Sondheim, and with other unbelievable artists creating the World Premiere of The Pokemusical and founding the Baldwin Wallace Beatles Festival. Other favorite projects include Thomas Andrews in Titanic The Musical (Akron Symphony), Buddy Plummer in Follies, Moritz in Spring Awakening, Fabrizio in The Light in the Piazza and the title character in Jekyll & Hyde. When James is not getting married on stage he spends his days pursuing his dream of going back in time to sail on the R.M.S. Titanic. A lot of love and thanks to his family and his beautiful lady friend Keri who support him through the “Still no job” days and celebrates the “I didn't burn my dinner” days. James is a proud member of Actor’s Equity. Andrew Kluger (Dylan) made his New York debut this year in Silk Stockings at The York Theater Company followed almost immediately by Mr. Confidential. His regional credits include Rocket Science at the Festival of New American Musicals in Los Angeles and Othello and Shakespeare On Love at The Commonwealth Shakespeare Company in Boston. A recent graduate of Tufts University, Andrew was pleased to be a member of the award winning a cappella group, The Beelzebubs, where he was nominated by CARA as Best Male Collegiate Soloist in 2010. Chloe Williamson (Vicki/Ensemble Soprano) recently graduated from Indiana University and is excited to make her first New York stage debut with Save the Date and the NYC Fringe Festival! Credits include The Truman Show (Meryl; with Alex Gmignani and Brad Bauner), Solana (Adele; with Ilene Reid & Michael Heitzman), Kissing Frogs (Greta; with Jeremy Schonfeld and Nicole Parker), Hair (Sheila), and Rent (Maureen). A big thanks to her amazing friends and family for their endless love and support. I wouldn't be here without you! Patty Lohr* (Ensemble Alto) is stoked to be a part of this hysterical new musical! National Tour: Beggar Woman in Sweeney Todd. NYC: Ghost in Hurricane; Amelia u/s in Factory Girls. International: 2 stints as a female headliner for Holland America Cruise Lines. Regional: Brooklyn in BKLYN the Musical, (Playhouse Square); Kate Monster in Avenue Q, Mrs. Lovett in Sweeney Todd, Nancy in Oliver!, Stephanie Necrophorus in Nine, Tribe/Sheila u/s in HAIR, Adele in A Man of No Importance, Fosca's Mother/Fosca u/s in Passion, Daisy Hilton in Side Show, Madame Giry in The Phantom of The Opera, Company, Frances in The Breakup Notebook. Proud Grad of the Baldwin-Wallace College Conservatory. Thanks to this crazy awesome cast and crew, my kickass friends and family, MFF, and The Mine! Fear is a liar, create yourself!!! Nathan Scott Hancock* (Ensemble Tenor) is from Nashville, TN, and he loves weddings, but not as much as road-trips! Happy moments on stage include TheatreworksUSA's If You Give a Mouse a Cookie and Other Storybooks, 9 to 5 at Gateway and Ogunquit Playhouses, and at The Boston Conservatory (BFA '12)- Rocky Horror (Rocky), Strike Up the Band (Spelvin), Little Shop of Horrors, Twelfth Night (Feste), The Who's Tommy, and The Full Monty. Nathan can be heard on recordings for Music Theater International, United Methodist Commuications, and on Grammy-Winner Dennis Scott's Top Pop 2. He has performed as a soloist with The Boston Pops' Baseball on Broadway and in Goodspeed Opera House's Festival of New Artists- playing the lead in a workshop of The Dogs of Pripyat. Love to the Save the Date family, AJ, CJ, Bex, The Mine, and YOU for buying a ticket! @nathanscottH or www.nathanscotthancock.com for more. Daniel Bonthius (Ensemble Baritone) is very excited to be returning to the cast of Save the Date and for his Fringe Festival debut! Recent NYC credits include the Planet Connections reading of Porter's WIll (Andy) and I Am Jim Thompson (Jim Thompson). Other Credits: Rabbit Hole (Jason), Right Next To Me (Male Understudy), Cabaret (Cliff), A New Brain (The Minister), Assassins (John Hinckley), and Undiscovered Country (Gustl Wahl). He is a proud Emerson College graduate and is currently studying at the UCB Training Center. Love to RB and Family, and AG, So Much. Nikki Rothenberg (Director) is a stage director living in Brooklyn. She has worked with several theater companies around the city, including the Looking Glass Theater and Aporia Theater Company. Recently she directed a staged reading of a satirical adaptation of The Babysitters Club written by Jeanne Leitenberg and also fulfilled a personal dream directing the musical Once On This Island for the Brooklyn Players Community Musical Theater. 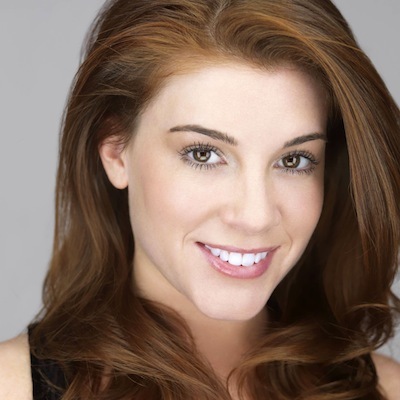 In 2009, Nikki was the Executive Creative Consultant on FringeNYC's production of Muffin Man. Nikki also worked for nearly five years as a talent agent's assistant at Don Buchwald & Associates, and at times is a freelance casting director, having cast the webseries Blood Light and the critically acclaimed short film Zombie in a Penguin Suit. Other credits include: Out Of My Head: A Musical Revue, The Untitled Pregnancy, Anna’s Perfect Party, Population Growth (Looking Glass Theatre), Bare Naked Drama (Aporia Theater),Why Can’t I? (New York Theater Barn), Grimm Late Night (NY Artists Unlimited Bad Musicals Festival), The Review (Theatre Studios, Inc.) and The Cradle Will Rock (Emerson College Mainstage). Nikki has a B.A. in Stage Direction from Emerson College. 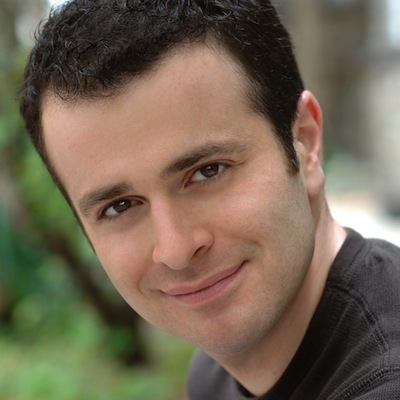 Rich Silverstein (Music Director) Recent NYC and regional theater credits include Pregnancy Pact (Weston Playhouse), 35mm (Galapagos Art Space), Musical of Musicals (Cincinnati Playhouse), Zanna, Don't! (York Theatre), Songs for a New World (Riverside Church), and numerous concerts and cabarets. TV: Music director on an Broadway-themed episode of The Apprentice featuring Kristin Chenoweth. 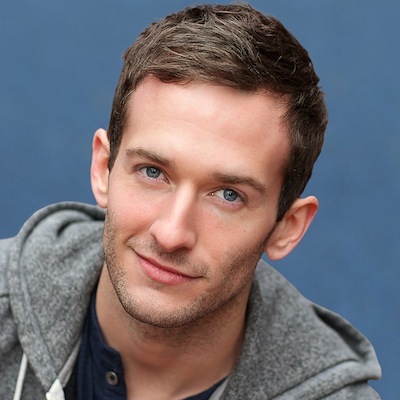 Rich is also a proud member of Actors' Equity, and his acting credits include work at Goodspeed, Cincinnati Playhouse, Bard Summerscape, and NJ Rep. Yale graduate, dog lover, espresso snob. Penny Enomoto (Choreographer) was born and raised in Hawaii, but now considers New York City her home. Recently she was featured in Brooklyn Community Players Musical Theater’s production of Once On This Island. Penny was the assistant choreographer for Jenny’s Piece (2012) which was presented at the Coates-Seeligson Theater in Texas and danced in Macy’s Big Meeting at Radio City Music Hall, 5 Million Macy’s Fans and Macy’s Millennials. During her undergrad years at Princeton, Penny choreographed for and danced with diSiac Dance Company, which performed at Berlind Theater as well as other venues. She also had the opportunity to work on pieces by Susan Marshall, Jim Martin, Rebecca Lazier, and Ze’eva Cohen as well as choreograph Journey which was showcased at the Berlind Theater and the Richardson Theater. Back in Hawaii where she was first introduced to musicals, she performed in Fame, Here’s Love, 42nd Street, and Wizard of Oz. She was a recipient of a scholarship from the Triple Treat Dance Convention. Akilah Williams (Assistant Director) is a New York based actor, singer, dancer, reader, receptionist, yogi, and whiskey connoisseur. She has worked in a variety of venues, on a plethora of projects, both in and outside of NYC, and is thrilled to be adding Assistant Directing to her wide range of theatrical experiences. NY acting credits: Once On This Island (Brooklyn Players), Follow Me Down (Aporia Theatre), Sophisticated Lady: Songs from a Broad (solo cabaret), Stonewall Sensation (Season 4 Winner), All’s Well That Ends Well (Hudson Shakespeare), Little Tales: Africa (Manhattan Children’s Theatre), New York Theatre Barn at the Duplex. Regional and other credits: Yeast Nation (World Premiere by Tony award winners, Greg Kotis & Mark Hollman; Perserverance Theatre), The Who’s Tommy (Perseverance), Requiem: Pro Torpeo Animus, Working, Hydraulics Phat Like Mean, Magic Flute, Hair, Side by Side by Sondheim. Akilah has a B.A. in Musical Theatre from Emerson College. Many thanks to her husband, Chris for all the love, support, and back massages. Nikki Bosso (Costume Designer) is a fashion student at Parsons the New School for Design. She plans to pursue costume design as a career. Originally from Cleveland, Ohio, Nikki performed in a number of musicals and her love for costuming grew from there. Nikki recently designed the costumes for Brooklyn Players Community Musical Theater’s production of Once on this Island. Michael Gurdo (Scenic Designer) is a freelance scenic designer living in New York. He is a recent graduate of the University of North Carolina at Greensboro, where he received a BFA in Scenic Design. Recently moved to New York City, Michael is delighted to be working with the team on Save the Date and FringeNYC! He is currently working as a studio intern for scenic designer Derek McLane. Michael recently designed the inaugural TEDxGreensboro conference, and designs for Reverse Psychology (Triad Stage), Romeo and Juliet, Charlotte's Web and In the Blood (UNCG Theatre). Kefah Spreitzer (Managing Producer) is a Stage Director/Dramaturge, Event Coordinator and Producer. She has worked with many companies, most recently: Silk Road Theater Project, American Theater Company (ATC), Tantalus Theater Group and the Brooklyn Players Community Musical Theater. She assisted The Piven Theatre Workshop Artistic Director Jen Greene on the mid west premiere of Motti Lerner's Pangs of The Messiah (Silk Road Theater Project) as well as served as the production's dramaturge. In addition to her theatrical experience, Kefah has worked extensively with children, teaching playwriting and acting as well as working in Educational Programming. She currently is the Out of School Programs Coordinator at The Brooklyn Waldorf School. Kefah is a graduate of Earlham College (BA, Theater Arts) & Roosevelt University (MA, Education). Michael Sadler (General Manager) is a producer, director, playwright, actor, and arts educator living in Brooklyn. During his five years in New York, he has collaborated with numerous small theatre companies in the region, both performing in and enabling existing work, as well as generating and developing new theatre. He has worked as manager and promoter for Brooklyn band The Hollows, who are currently preparing to release their third studio album. He has worked as a teaching artist in under-served neighborhoods in the Bronx, developing theatre curricula and creating original student productions. A graduate of Emerson College (B.A., Theatre Studies), he seeks to provide the tools necessary for artists to grow their work and have it be seen. He is proud to be part of Mr. Jacobs-Roseman's world premiere production at FringeNYC. Theresa Labreglio* (Stage Manager), born and raised in New York, is proudly an AEA Stage Manager who most recently managed Days of Wine and Roses, Twelfth Night, Ten Unknowns and Last of the Red Hot Lovers at The Schoolhouse Theater under the direction of Pamela Moller Kareman (Neighborhood Playhouse) and Penny Cherns (LAMDA). Theresa also spends her time as a production manager for a NJ based film company; Outtake Productions. She is delighted to be involved in "Save the Date" and FringeNYC! Overall, Theresa likes to spend as much time as possible in a theater or on her couch watching awful television or USWNT soccer games. Much love and thanks to her fiance Melissa, PMK, QC and her family ... for without them she'd only be an awful television addict. Rachel James (FringeNYC Authorized Company Representative, Company Manager) has been following the development of this show for several years, and is thrilled to involved in this world premiere production! 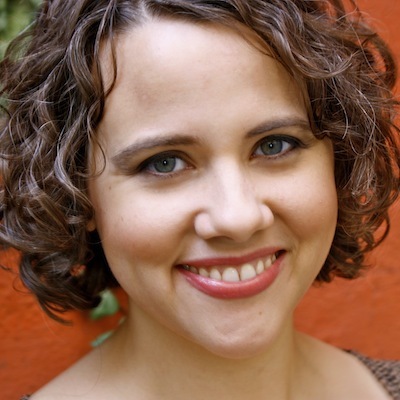 Rachel is a playwright whose plays have been produced by The 52nd Street Project and Starfish Theatreworks. She is also a contributing writer for the blog, Crazytown. She makes her living as a Broadway box office treasurer. Julie Goldin (Associate Producer, Special Events Director) is pleased as punch to be a member of the Roadie Soadie production team! Save the Date will mark Julie's second production credit with the NY International Fringe Festival, as she previously produced Series 6.2: Paint on Canvas in the 2009 festival, written by and starring Rebecca Hackett and Katherine Randle. Julie attended Emerson College, where she achieved a Bachelor of Arts in Theatre Studies. She now puts her drama skills to daily use in her work as a family therapist in Brooklyn, NY. Morgan Clarke (Music Supervisor, Drums) moved to New York City just under a year ago to compose for theater and film. He has a BA in Letters (Literature, History, Philosophy) from the University of Oklahoma, where he founded the Boheme Student Theatre Troupe and was a Drumline Section Leader and brother of Sigma Phi Epsilon. He recently music directed Once On This Island for Brooklyn Players Community Musical Theater, and composed a song for an NYU Musical Theater Program's Masters Thesis.